I absolutely love this watch! It's compact, easy to read, great looking, accurate- what more can you want? Have a lot more expensive watches but consistently keep reaching for this one. This is the best looking watch I own. I have about 10 watches currently and this is one that I will not part with. It is a very good value for the price, keeps perfect time and looks way more expensive than it is. I have dropped it twice on hard surfaces with no damage. Worked great until it slipped off my hand and onto our hardwood floors. Pretty watch but now is dead. Commemorate an engineering milestone with the Timemaster Piezo Watch. It was the watch that changed everything. In the historyof timepieces, few moments are more important thanthe creation of the world's first Piezo quartz timepiece.First released to the public in 1969, the watch turnedthe entire industry on its head, inaugurating a new era oftimekeeping. 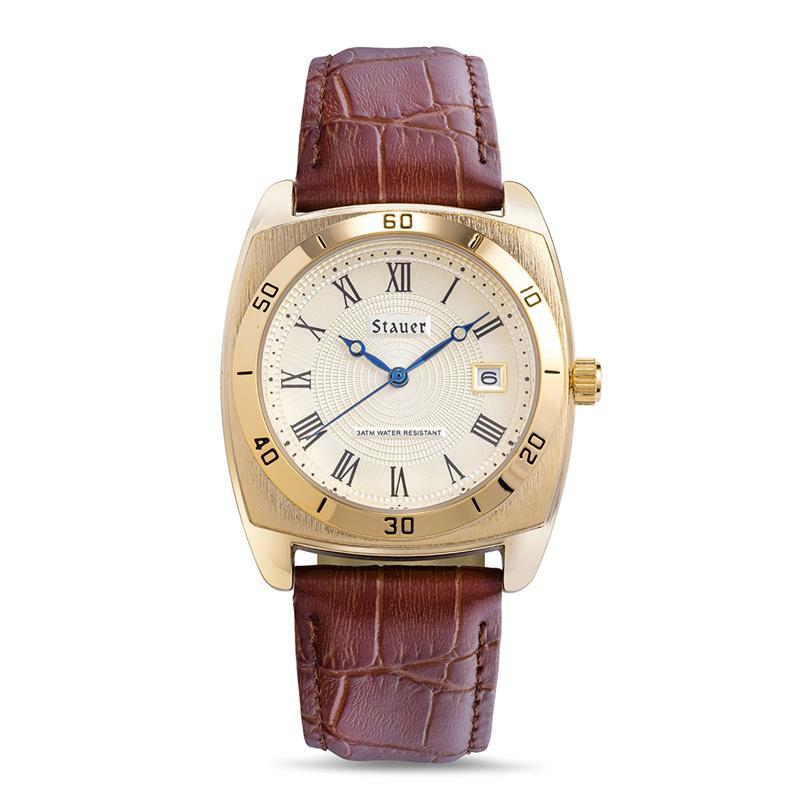 It's this legacy that we're honoring with theTimemaster Piezo Watch, available only through Stauer. Prior to Piezo watches, gravity-driven Swiss watches were the standard bearer of precision timekeeping. But all that changed when the first commercially available Piezo watch came onto the market. The result of ten years of research and development by some of the world's top engineers, they figured out that when you squeeze a quartz crystal, it generates a tiny electric current. And, if you pass electricity through quartz, it vibrates at a precise frequency — exactly 32,768 times each second. When it came on the market, the Piezo quartz watch was the most dependable timepiece available, accurate to 0.2 seconds per day. It's still considered today as a key advance in electrical engineering. These watches were also the father of digital ones, and even though that first Piezo watch cost the same price as a medium-sized car, its manufacturer sold the entire inventory within a week. "It was like a magnum bullet shot at the most sensitive spot of the mechanical watch industry... Switzerland was terrified," writes Ariel Adams of A Blog to Watch. It's this innovation that Stauer is commemorating with the Timemaster Piezo Watch. With this timepiece we've set one of the world's most important mechanical advances inside a decidedly masculine gold-finished case. The simplicity of the watch's case belies an ornately detailed dial, which reflects the prestige of this timepiece. Available at a fraction of the price that Piezo quartz watches once cost, we believe that this sleek and handsomely designed timepiece is one of the best we've ever crafted, and we're sure you'll agree.